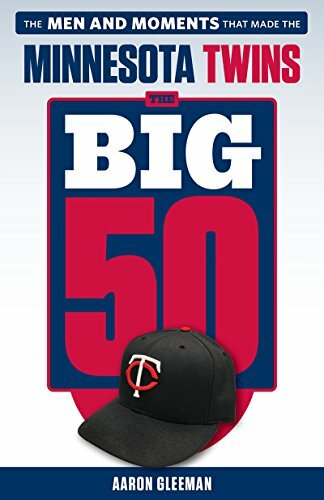 • I'm going to be on 1500-ESPN with Darren Wolfson before Saturday night's Twins-A's game, talking about potential trades and various other stuff from around 6:30 to 7:45. I'm sure we'll take plenty of questions and comments from listeners too, so tune in and/or give us a call. • Rumors about the Nationals pursuing Denard Span continue to swirl, with Ken Rosenthal of FOXSports.com reporting that they may make closer Drew Storen available after declaring him off limits in talks with the Twins initially. Of course, a short time later Bill Ladson, who covers the Nationals at MLB.com, reported that they're "not willing to trade Storen for Span." In which case the Nationals might save the Twins from themselves. Whatever the case, it seems clear that the Twins are open to at least discussing Span trades and even that surprises me. Unless they're convinced his concussion is a long-term issue I'm not sure what's accomplished by dealing a 27-year-old center fielder with good on-base skills, solid defense, and a reasonable contract that runs through 2015. Storen is good, young, and cheap, but if they're going to trade Span the centerpiece shouldn't be a 70-inning pitcher. • Jayson Stark of ESPN.com reports that the Pirates have targeted Jason Kubel in their quest for a "professional hitter." Kubel is an impending free agent and shopping him makes sense, but the Twins will be in a position to either get a compensatory draft pick when he leaves or re-sign him to a one-year deal if he accepts arbitration. That same either/or scenario is riskier with Michael Cuddyer because of his $10.5 million salary, but Kubel is making $5.25 million. • LaVelle E. Neal III of the Minneapolis Star Tribune reports that the Rockies are among teams interested in Kevin Slowey and speculates that the Twins might look to swap him for reliever Rafael Betancourt or infielder Ty Wigginton. Neither of them do much for me because they're old, mediocre, and relatively expensive for 2012, but in theory targeting a middle reliever or a right-handed hitter for Slowey isn't a bad plan under the circumstances. • Alexi Casilla injured his hamstring legging out a double Wednesday and has been placed on the disabled list with a Grade 1 strain, which the Twins expect will keep him out for 2-3 weeks. Given their history with return timetables this season, I'd expect to see him again in mid-2013. Casilla has hit just .248/.314/.390 in 37 games since moving from shortstop to second base in mid-June, but he's played better of late and as usual the Twins' middle infield depth is shaky. My initial assumption was that Trevor Plouffe would be given the opportunity to play regularly at second base with Casilla sidelined and that may still prove true, but last night at least Matt Tolbert got the start. Tolbert was demoted to Triple-A last week after hitting .181 in 55 games for the Twins and went 7-for-36 (.194) during his brief stay at Rochester, but Ron Gardenhire got him right back into the lineup as soon as he rejoined the roster and that worries me. There's zero upside to be had with Tolbert, who's a 29-year-old career .229/.289/.326 hitter in the majors, whereas Plouffe might actually end up being a decent hitter if given a shot. Plouffe lacks experience at second base, but he played 34 games there in the minors and has another 680 games at shortstop. And lack of experience at a position didn't keep the Twins from calling Plouffe up to man right field and first base, neither of which he'd played prior to last month. • Not that Casilla is much of a table-setter himself with a .322 on-base percentage this season and a .310 career mark, but without him batting second the top of the Twins' lineup last night had the .249/.294/.283-hitting Ben Revere leading off and the .209/.264/.236-hitting Tsuyoshi Nishioka in the No. 2 spot. And the 7-9 spots were filled by OBPs of .288, .288, and .245. On a completely unrelated note, Scott Baker took a loss despite seven innings of two-run ball. • Now that Casilla is injured Cuddyer, Tolbert, Danny Valencia, and Drew Butera are the only position players from the Opening Day roster to avoid the disabled list. Span, Kubel, Nishioka, Joe Mauer, Justin Morneau, Delmon Young, Jim Thome, Jason Repko, and now Casilla have each spent time on the DL, along with half of the 12-man Opening Day pitching staff. And there are still more than two months left to play. • In adding Tolbert and Luke Hughes as infield reinforcements the Twins went from 13 to 12 pitchers, which is good. Chuck James being the odd man out isn't as good, but he was among those knocked around in Monday's blowout loss and they never seemed particularly keen on calling him up in the first place. James has thrived at Triple-A and has a far better track record than Phil Dumatrait, who sticks around with a 14-to-12 strikeout-to-walk ratio in 24 innings. • Alex Wimmers thankfully seems to be back on track after sitting out three months following a disastrous season debut in which the 2010 first-round pick walked all six batters he faced at high Single-A. Pulled from the rotation and sent to extended spring training, Wimmers saw his first game action in the rookie-level Gulf Coast League last week and is now back at Fort Myers in the bullpen. Baby steps, but he's allowed three runs in nine innings with a 12/6 K/BB ratio. • Cuddyer stayed hot last night with a pair of hits and is now 34-for-96 (.354) with five homers and 15 walks in 26 games this month. His overall OPS is up to .853, which leads the team by a wide margin and ranks 37th among all MLB hitters with enough playing time to qualify for the batting title. As usual Cuddyer is crushing left-handers, but he has a .407 slugging percentage against right-handers this season and a .435 slugging percentage off righties for his career. • Mauer passed Tony Oliva for eighth place on the Twins' all-time walk list with 449 and did so in 3,119 fewer plate appearances than Oliva. To put that in context, consider that David Ortiz and A.J. Pierzynski combined for 3,233 plate appearances as Twins. • After splitting four road games versus the first-place Rangers the Twins are now 27-39 (.409) against teams outside the AL Central, which is a 66-96 pace for a 162-game season. They're also now 22-42 (.344) against .500-or-better teams, which is a 56-106 pace. • Headline from The Onion: "Twins Shocked To Learn You Can Score Two Runs In Same Play." 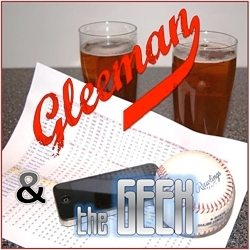 • Last but not least, my video analysis of the Twins' season. The big comeback on Tuesday, coupled with the Tigers’ stumble in Chicago, has given the Twins yet one more breath of life. But, looking at the respective upcoming schedules for Minnesota and Detroit, I still have a hard time seeing the Twins continuing to hang in the race through August. If Smith can swap any veterans for good young talent this weekend, fine by me–although trading Span for a 70-inning pitcher isn’t what I have in mind, either. This isn’t a team with the talent for a run in the playoffs so they should be starting to set-up for next year. Easy to offer Kubel arb but Capps or Cuddy are another thing. So trade them now get what you can and in Cuddy’s case that should be a lot, you can resign Cuddy this winter. If they are worth anything trade, Young, Liriano & Pavano they are all gone after next year anyway. The Span anticipation is killing me. He is the one outfielder we have who can both hit and play defense. He’s under team control at a low salary for years to come. Whether you are buying or selling, he is the kind of guy you want to get, and if you have him, the kind of guy you want to keep. The reason that Span seems expendable is that people are under the impression that we have an adequate replacement in Ben Revere. We don’t – Revere is a horrible hitter. He has been a black hole at the top of the lineup. If Span goes, it won’t be long before people start to realize that Revere’s terrible offense is hurting the team and we will be looking for a new center fielder – someone like Denard Span. Not to mention Revere’s noodle-ish arm. I don’t like the Span talk one little bit. What’s the upside to trading any everyday above average MLB player for a pitcher who pitches 70 innings? 70 innings is roughly 5% of total innings pitched for a season. A healthy span take 10% or more of the at-bats for the team. Plus plays a demanding defensive position for 90% of the innings at an above average competency. I just can’t understand the logic here. NFL teams don’t trade for guys who are “proven” special teams aces. They understand the difference in value between an every down player and a player who only can affect the game in a limited number of situations. There is also the faulty logic that Revere is young so he has a ton of upside. Umm… Isn’t he going to be a career singles hitter? Does anyone honestly belive he can ever slug better than .325 consistently? If you believe he is going to somehow sustain an OBP of .452 and slug .325 that would bring his OPS to .757 – where Span currently resides. For those of you who think he has unlimited upside on defense – Where is the upside? His arm is going to somehow magically become stronger? He already has elite range – no one can argue otherwise. But how is he going to significantly improve on elite range? Let’s be fair for a second. Most on this blog, including the author, mocked Span as a non-prospect a few years ago. No, Revere isn’t likely to suddenly develop pop or a strong arm, but it’s foolish to act like he can never become a decent offensive player when so many of us said the same of Span. And let’s not forget Span is one year removed from a pretty awful season himself. He has a better arm than Revere but he’s not exactly Jesse Barfield, and if you think he’s afraid of the wall now wait til he comes back from a concussion. A concussion, by the way, that could potentially leave lasting effects on him. I agree that paying a premium for relievers is risky at best, but I’m kind of surprised how everyone is acting like this team would never survive without Span. Yep lets trade span for prospects we hope can be as good as span. My guess is Gardy wants to clear room in the outfield to keep Cuddy. Span’s “awful” 2010 was worth 2.6 WAR. In 2008 he was worth 3.2, in 2009 he was worth 4.1, and until his injury this year he’d accumulated 2.6 WAR. Last year two relievers accounted for more than 2.6 WAR: Wilson at 2.7, and Marmol at 3.1. Trading a good every day player at a premium position for relief pitching is beyond stupid. The decision facing the Twins isn’t about deciding Revere will never develop into a decent offensive player. They aren’t talking about trading Revere. Rather, it is counting on the fact that Revere will develop into a decent offensive player, and that is extremely foolish given the lack of evidence that will happen. The difference between Span circa 2008 and Revere now is that we didn’t trade a good player to make room for Span. The Angels paid Torii Hunter more than he was worth and far more than the Twins could afford. That was out of our control. Span wasn’t even Hunter’s replacement initially – Carlos Gomez started the year in center field and Span started at AAA. No one was counting on Span to perform, but he did anyway. Span earned his spot in the lineup – it wasn’t until he showed he could perform well at the major league level that the Twins started counting on him. And even when Span was having a “pretty awful” season, his numbers (.264/.331/.348) were still much better than what Revere is putting up this year. Ben Revere is among the very worst hitters in baseball, and while there is nothing wrong with hoping he gets better, making decisions based on that hope (and nothing more than hope) is a real problem. The Span talk is an alarming indication of how stupid they still are. Thank you for pointing this out in your post Aaron. The record is what it is. The Twins are mediocre. But do you think that Jim Pohlad cares as long as TF sells out every night and Twins merchandise flys off the shelves? From his POV, the Twins are having a excellent year. After all Aaron, the Twins are a business you know. *pfft* Please. Keep Span and rebuild the BP this off season. Twins are not going to playoffs this year.